In the mediocre 1995 film The Net Sandra Bullock, in one particular scene, played on her Macintosh a game. 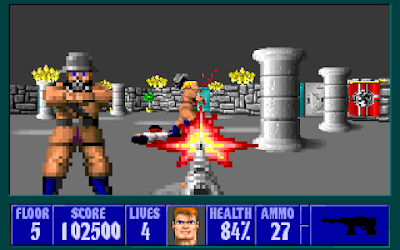 This game was Wolfenstein 3D, the father of all FPS and one of the first games by id software. This was a 1992 game but its inclusion to the 1995 movie strikes me me as something ironic and prophetic as to to the state of mac gaming. Despite the efforts of some companies and despite the RDS at work in various occasions(such as inviting Carmack to talk at WWDC) the state of mac gaming is bad. Even though I am a mac user (among all major OSes as well) for years, I rarely do my gaming on the mac. I have a Windows box for games as well as consoles for that. The reason is simple I cannot find the games I want for the mac platform and, even if I find them, they are far more expensive than their PC version. A visit at any major e-shop will persuade you. Old Mac games cost more than new PC games and you can only find blockbuster titles. There are some companies, though, that for years now support the mac platform consistently by releasing hybrid discs that work on macs and on a PCs alike and release the patches at the same pace. The biggest of them all is Blizzard that releases all the games for both platforms. Blizzard is so commited to the mac platform that even released patches to play older games written for OS 9 to the modern OS X. Another company is Cyan (I admit it I am a Myst fan) who releases all the game in hybrid discs as well. EA said that it would support the platform and as a result Spore was released in a hybrid disc but I guess that was due to the nature of the game. Some marketing director concluded that the people in the mac community will likely buy the particular game. All these companies though are not the rule, but merely the exception. 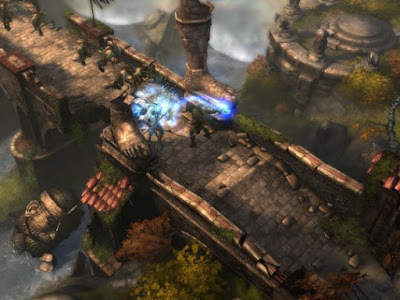 Most mac game realeases are not done by the original developer but instead are ports made by third parties. Most of the games I have played were bad ports. The most common flaw is the performance hit. Older games that you would think they would play fine are slower than death in extremely powerful mac configurations. A very good(bad) example of that is Neverwinter Nights 2. An old game by PC standards and yet it plays awfully slow on a current gen Macbook Pro. I blame Aspyr for that and I have to say that I am very disappointed about other ports done by that particular company. The transition to Intel processors some years ago allowed companies to create mac versions of their games easier and the current market share increase made some companies think twice before ditching the platform. I am not optimistic though. We will just have to wait and see what happens in the future.